The prodigiously talented dancer Colin Dunne joins forces with fiddler Tola Custy, harpist Maeve Gilchrist and uilleann piper David Power. This star studded concert brings together some of the brightest luminaries in traditional music. 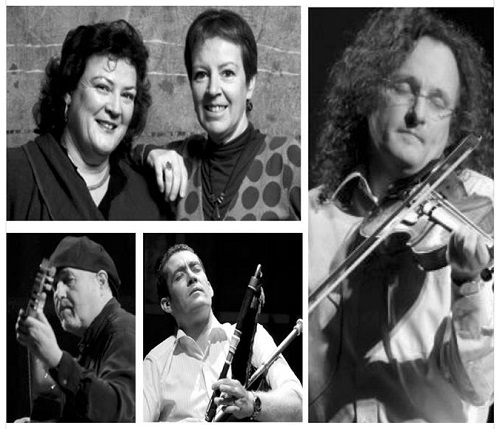 The audience will be treated to music and songs from legendary singers Maighréad (Skara Brae) and her sister, Tríona Ní Dhomhnaill vocals & piano, (Skara Brae & The Bothy Band), fiddler Martin Hayes (The Gloaming), guitarist Dennis Cahill (The Gloaming) and uilleann piper David Power. It will be a concert of well-known songs and music. The Masters of Tradition concert in 2016 was the first time that the comfortable 270-seat theatre at SGC Dungarvan hosted a live performance – a huge success and we are delighted to welcome the Masters of Tradition back on Saturday August 5th. 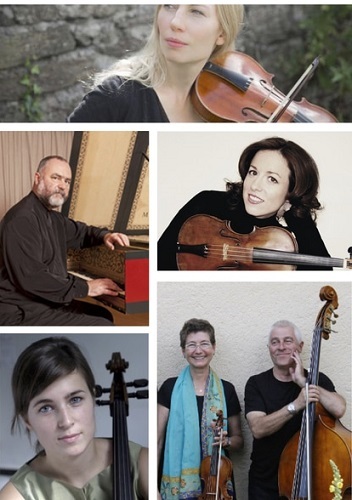 Malcolm Proud, harpsichordist and Swiss violist Maya Homburger founded Camerata Kilkenny. They are joined by Barry Guy bass, Claire Duff violin, Marja Gaynor viola & Aoife Nic Athlaoich cello. Together with uilleann piper David Power they will perform a varied programme of music inspired by fantastical literary works from the 17th and 18th century by composers such as Biber, Dowland, Leclair, Telemann, Handel, Purcell, Marini and O` Carolan. Come and enjoy free performances by leading international musicians along the Waterford Greenway. These 15 minute performances will happen at designated places and times, weather permitting. Places and times will be advertised on the Dungarvan Summer Music Festival website, Facebook and twitter closer to the event. 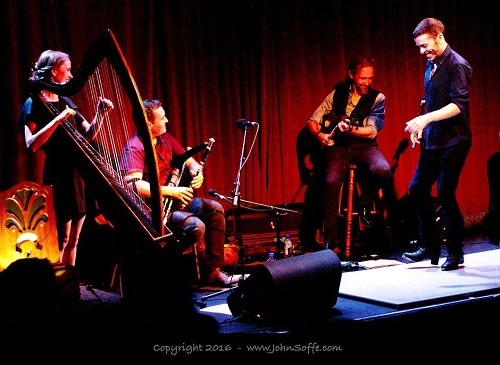 This entry was posted on June 1, 2017 by waterfordarts in events, General, music and tagged Dungarvan Summer Music Festival, Edges of Light, Greenway Sessions, SCG Dungarvan, The Piper and The Faerie Queen, Townhall Dungarvan, whats on waterford.